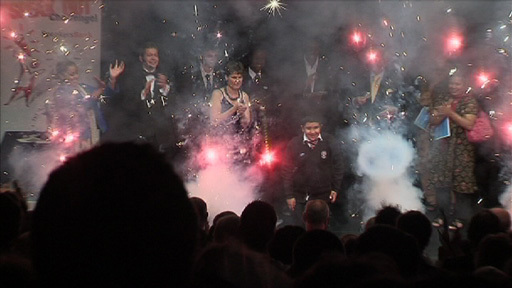 Jack Petchey's "SpeakOut" Challenge is the World's largest speaking competition for young people and on 10 July Peter Kidman, Rob Evans and Stuart Little undertook a three-camera shoot of this year's final held at the Mermaid Theatre, London. This comprised the sixteen regional finalists plus entertainment from some of Britain's brightest young musical and dancing talent. 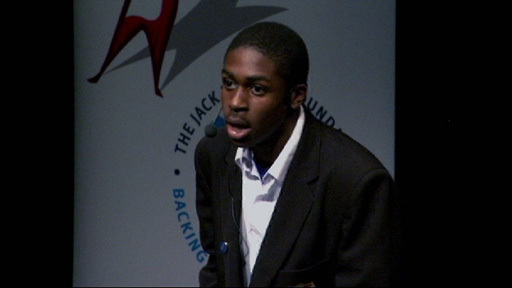 The "SpeakOut" Challenge competition is sponsored by the Jack Petchey Foundation and managed by SpeakersBank who had also previously hired KLA to cover the Sutton regional final, which Stuart covered with Oliver Little, and to edit other regional finals recorded by SpeakersBank staff. During the summer, in addition to the "SpeakOut" Challenge work, we recorded a seminar for legal firm McDermott, Will and Emery, covered the Suzuki Concert at Westminster Hall for Southbank International (for the ninth year running) and recorded a seminar for the Best Property Club. (in addition to continuing to supply facilities services to them). And on the facilities side we edited an 80 minute seminar for our old friends Marks & Spencer and continued to handle large amounts of cine film for transfer to DVD. as delivering Swanrose courses both at its London base and around the country. We have a number of potential jobs in the pipeline including a Home Office-funded project and promotional DVDs for a corporate entertainment company and a design company. KLA has acquired a Beta SP player as a result of increasing demand for editing and transfer work involving this format. Additionally we are in the process of updating our studio equipment. for more information about the convention.